In my humble opinion, New Year’s Eve is overrated. The wild parties, late night and overpriced drinks aren’t really my scene these days. I’d much prefer to stay home, fire up the grill and make something extra special with someone extra special. The delicious flavor and beautiful presentation of rack of lamb make it the perfect cut of meat for special date nights at home. It’s not cheap so it’s definitely a cut of meat reserved for special occasions, but I love that it cooks quickly so I don’t have to spend all night tending to the grill. I rub a simple but flavorful marinade over the meat and place a few sprigs of fresh rosemary directly on the hot charcoal for a subtle added flavor. 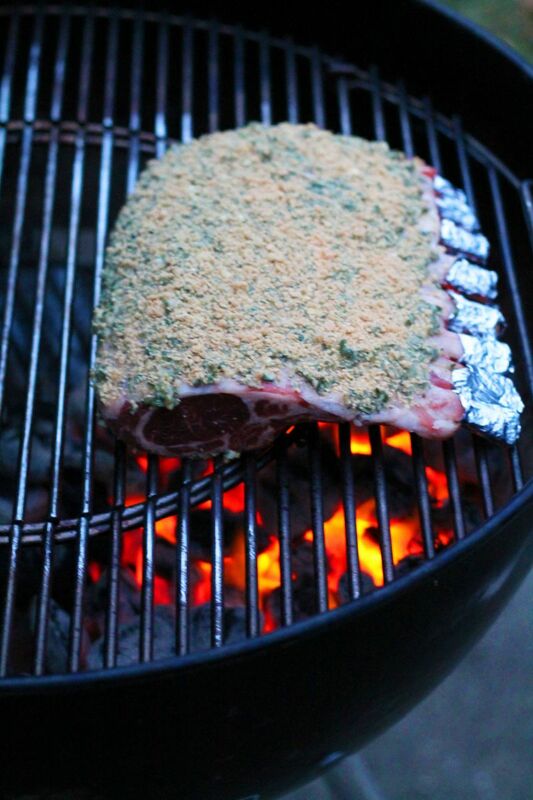 Use special care when turning the lamb and moving it around the grill so you don’t break off the delicious crust. 1. In a small bowl whisk the marinade ingredients until thoroughly combined. 2. Trim any excess fat from the lamb. Spread the marinade evenly over the lamb and let sit at room temperature for 20 to 30 minutes before grilling. Loosely cover the bones with foil to prevent them from burning. 3. Prepare the grill for direct and indirect cooking over medium heat (350 to 450 degrees). 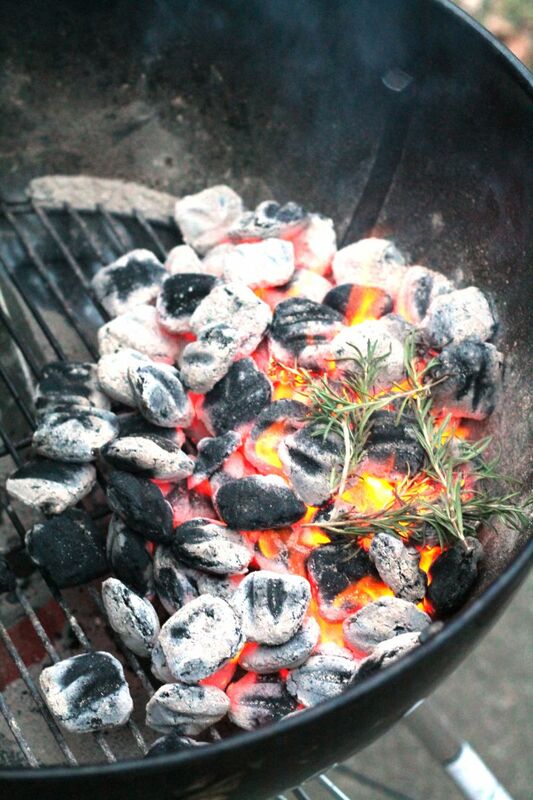 Once the charcoal is grey and ashed over place a few fresh rosemary sprigs directly on top of the charcoal. 4. Sear the lamb, bone side down, over direct heat for 3 to 5 minutes, or until lightly browned, turning once. Move the lamb over indirect medium heat and grill 10 to 15 minutes longer or until the internal temperature of the lamb has reached 145 degrees. 5. Remove from the grill and let rest for 5 minutes before cutting. Serve immediately.